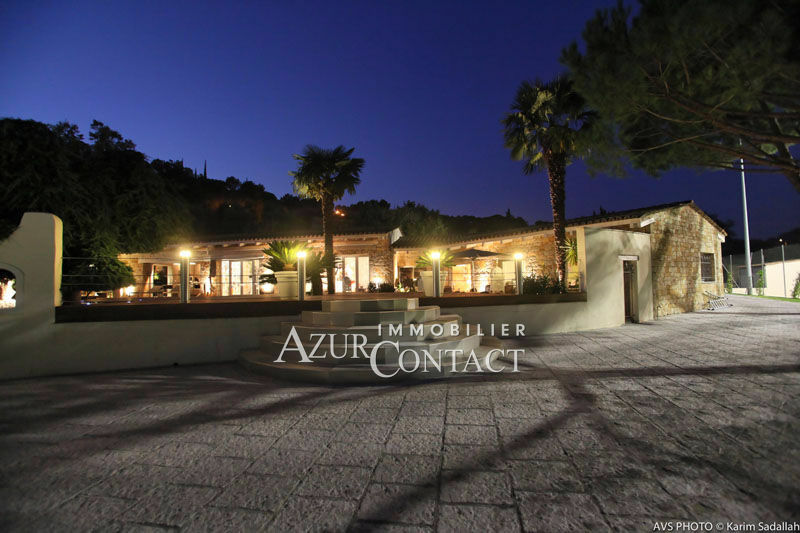 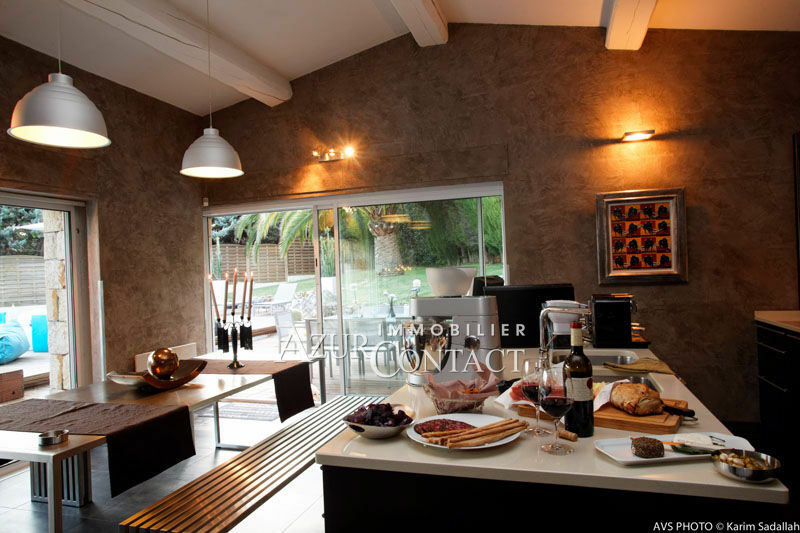 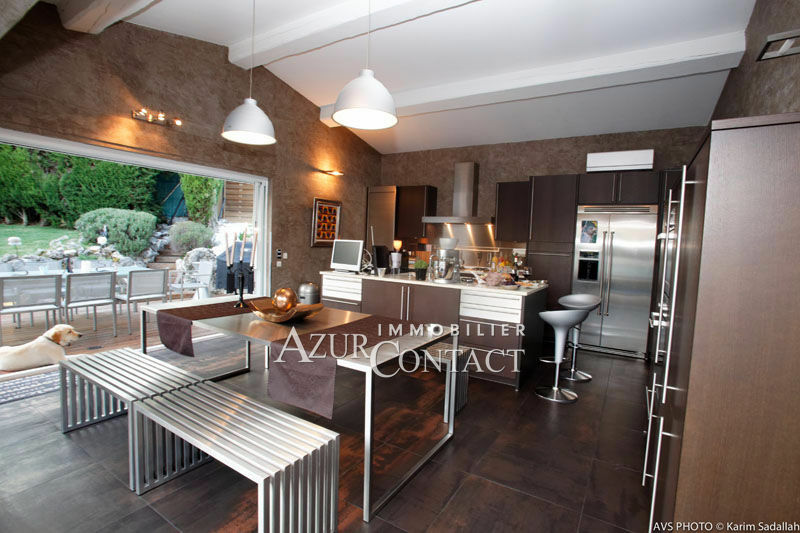 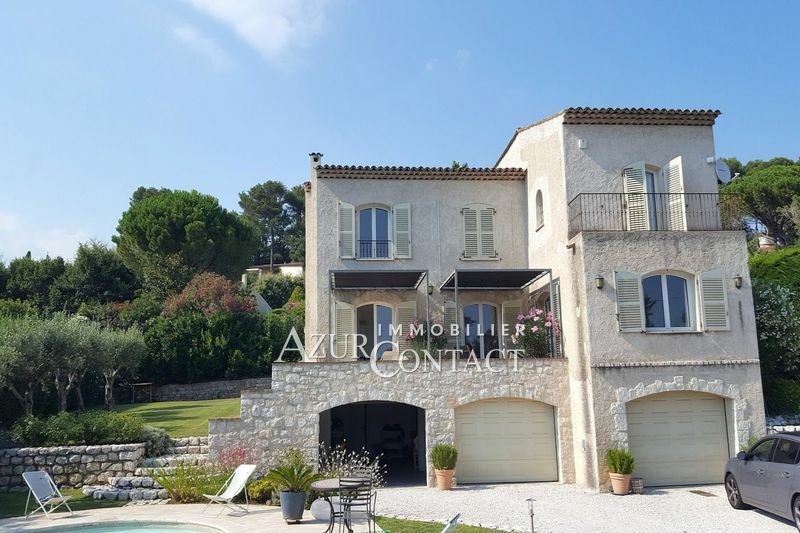 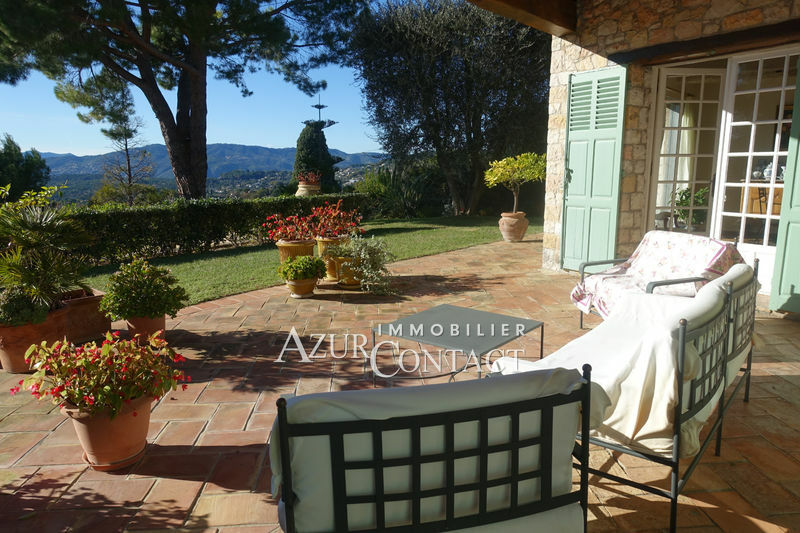 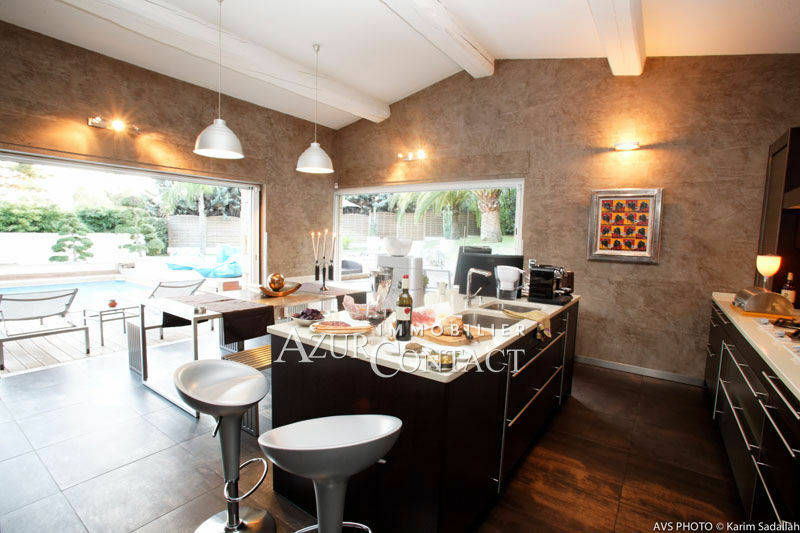 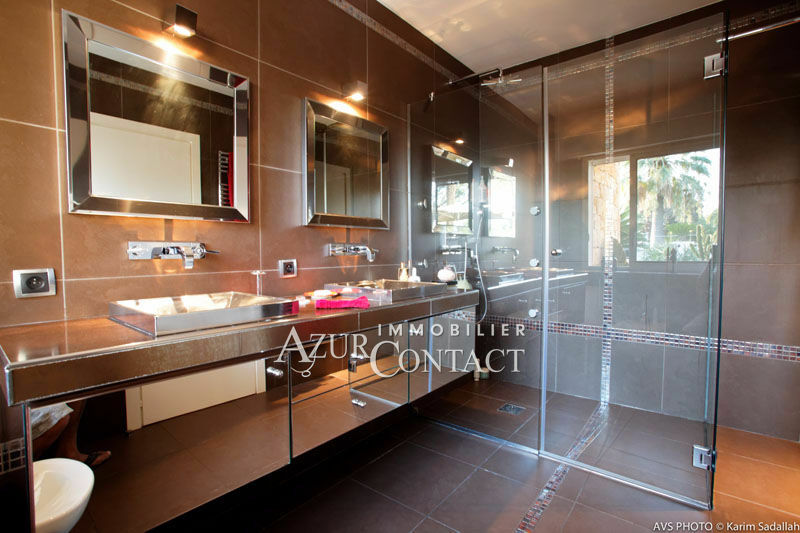 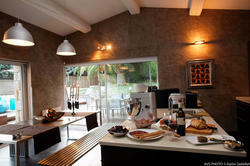 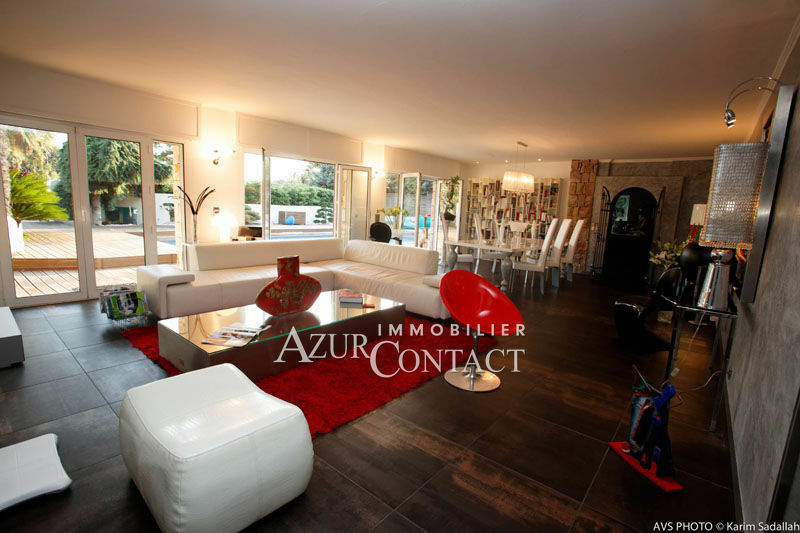 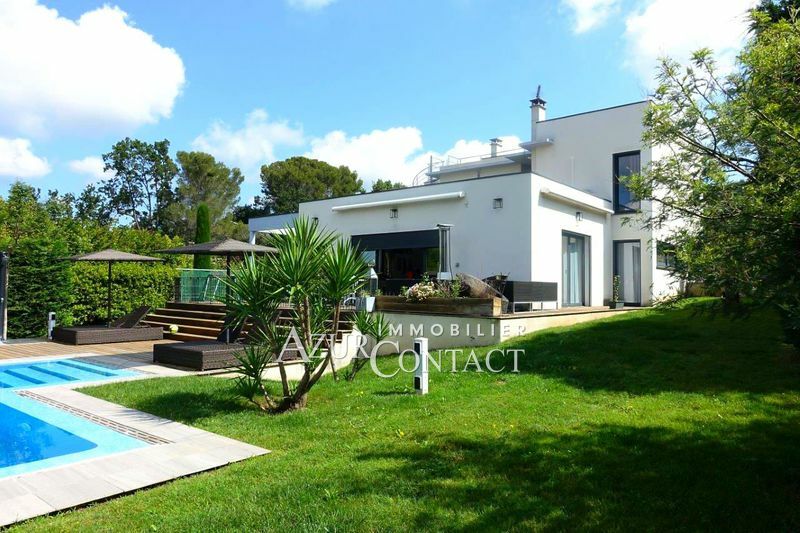 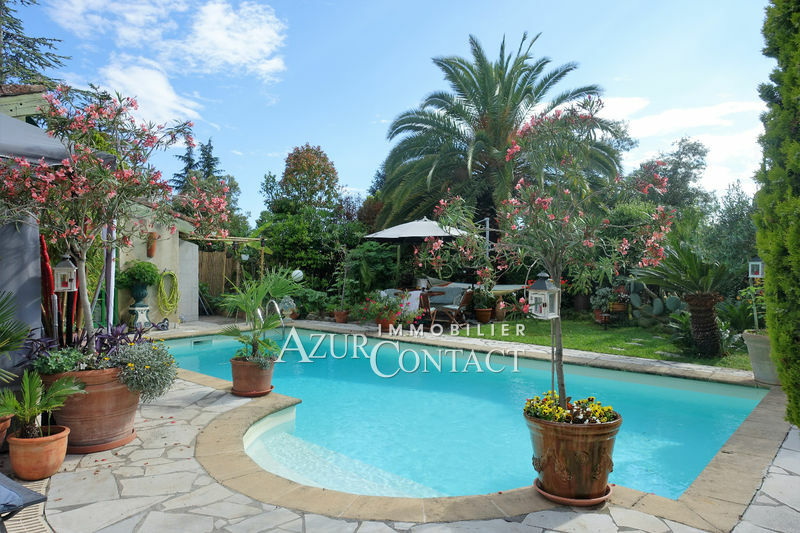 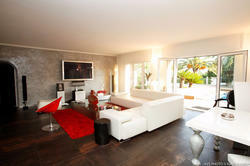 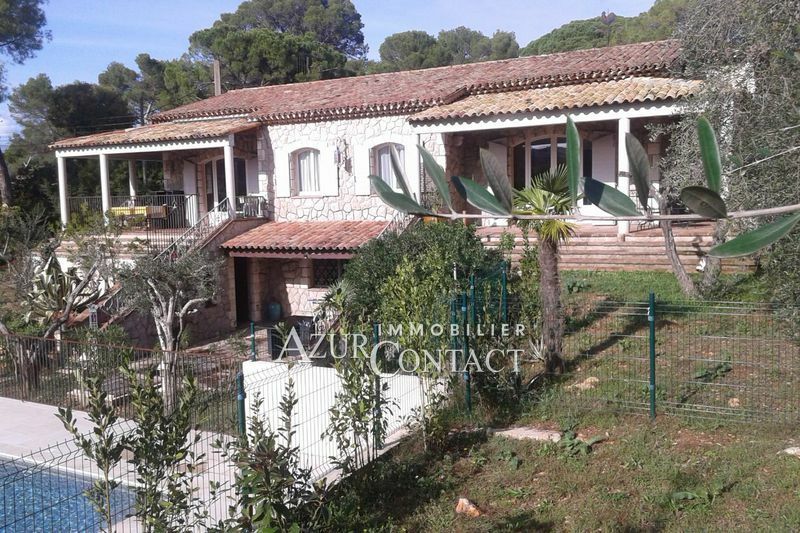 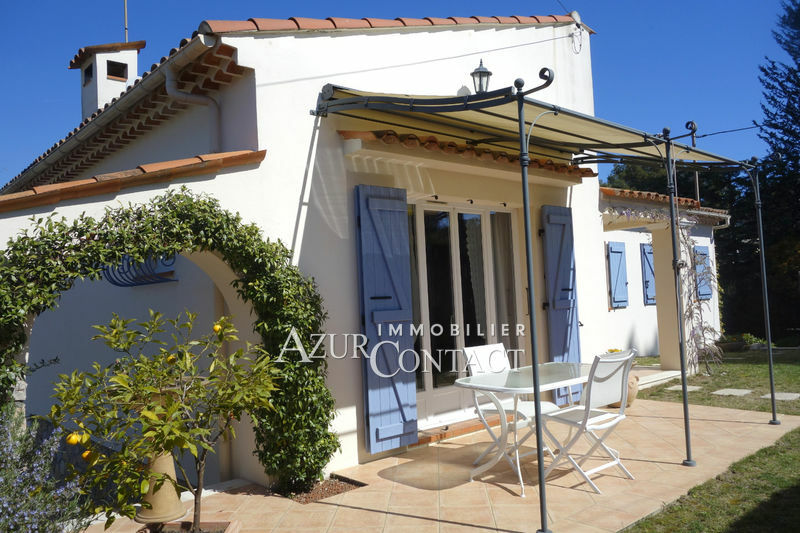 This outstanding modern villa of 270 sqm is located at the bottom of the hill of the old village of Mougins. 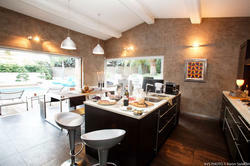 The property has been fully refurbished to a high standard and stands on a single level. 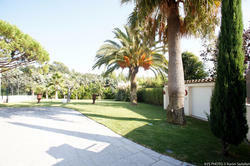 The property features a beautiful flat landscaped garden of approx. 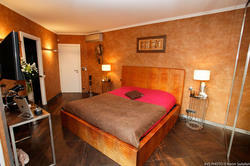 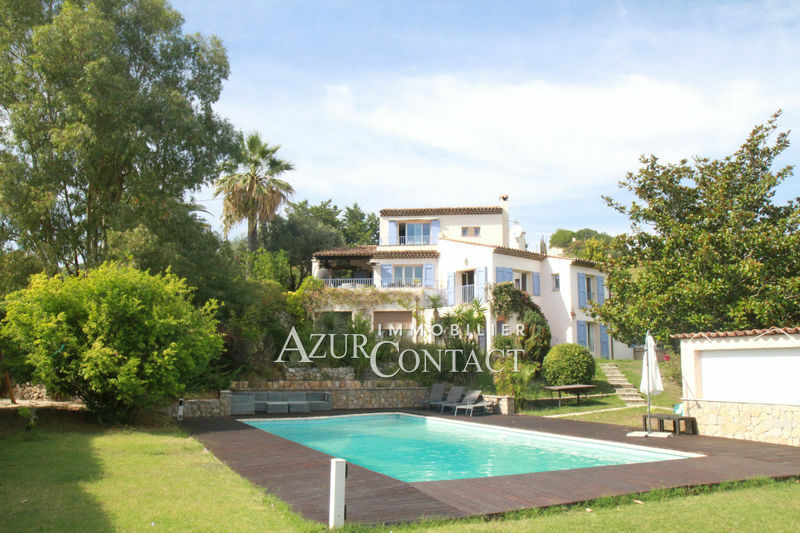 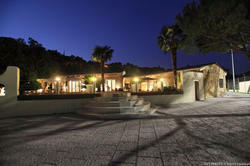 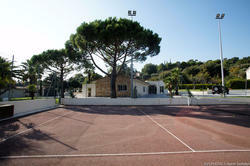 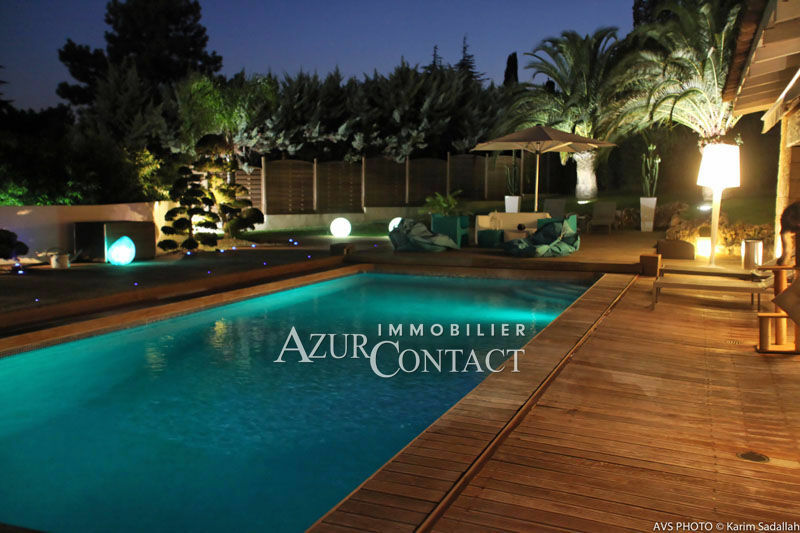 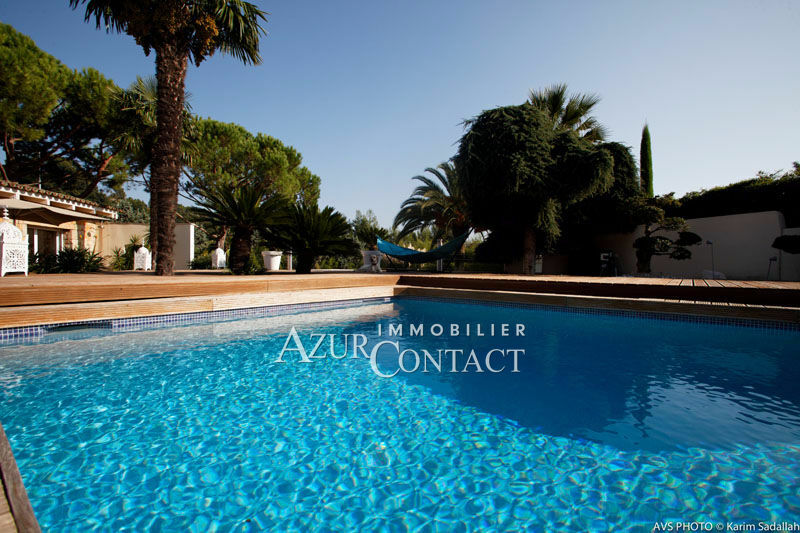 3500 sqm with a large heated pool and a tennis court. The huge living room (100 sqm) with a fully equipped open plan kitchen features large bay windows opening on the terrace and the pool. 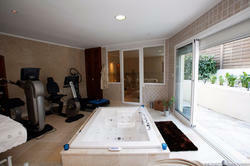 There are 4 bedrooms and 4 bathrooms, a gym, a sauna. 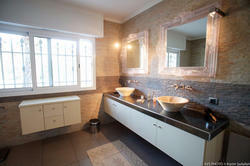 Laundry room and cellar are on the basement. 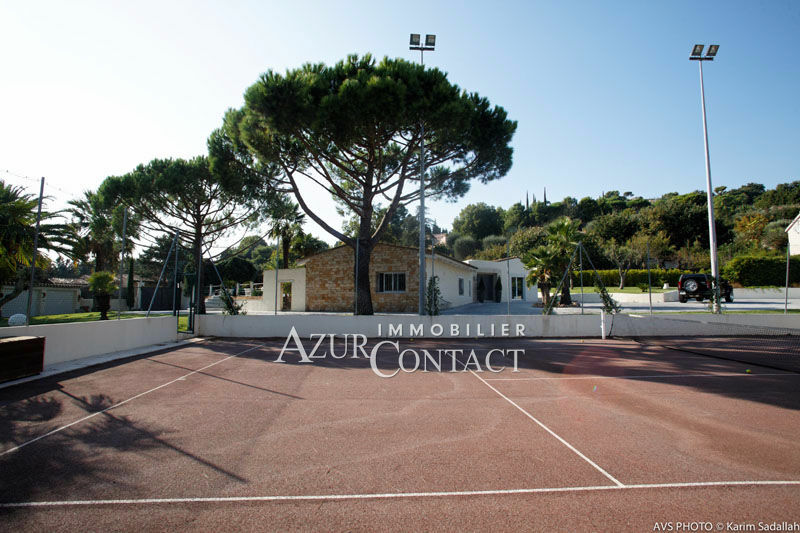 Double garage and possibility to park up to 8-10 cars.